As the students walked through the front door this morning they were greeted by a display case set up to encourage them with a motto to start off the year the right way. 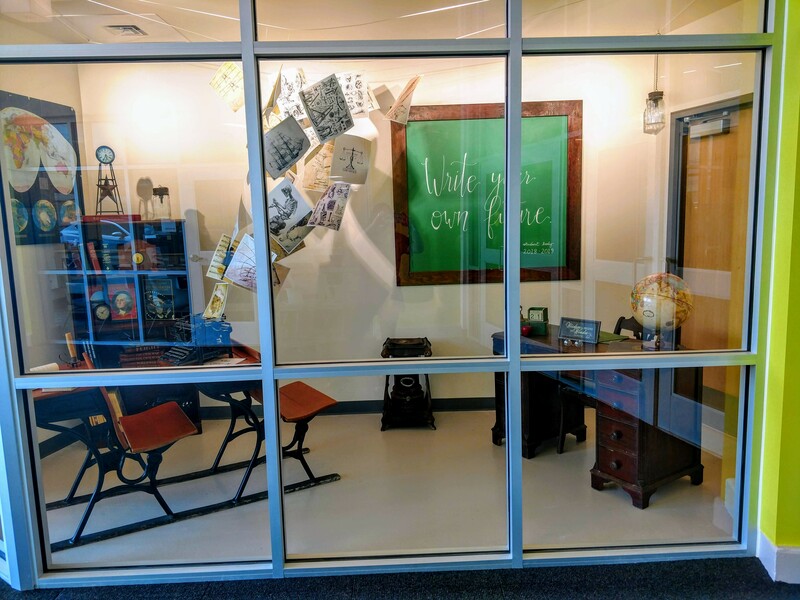 The display case is set up like an old classroom with an old typewriter sitting on top of an old school desk, with papers flying out of the typewriter. The papers do not have words, but images. If you look closer you will realize that each image represents one of the courses offered at the ALC. Next to the typewriter there is a typed note that says, "What "type" of future will you "write" ?, and the big chalk board that is hanging on the wall says. , " 2018-19 student body, "Write" you own future. This display, and this motto was put up to remind each student at the ALC that the possibilities for their future are endless, and that each one of them are the authors of their future. Always remember that you matter to us at the ALC.